In the today’s context, the GPS systems have become the most versatile devices which have become a kind of trendsetter in the consumer market segment as it becomes the most valuable asset which can be used in any industrial sector for the real time tracking of their devices. GPS has been abbreviated as Global Positioning System and the whole concept has been designed in such way that it can navigate and further enable a user to locate the exact location of a device across the landscape. The GPS tracking device has been robust equipment which has been conceptualized to receive the signals from the satellites which help in tracing the device across the landscape. 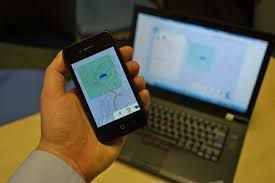 In the present context, these gps tracking devices have evolved to such an extent that it has almost become so compatible that the entire device can easily get an ideal fitment into the car, truck or any other automobile so that it becomes an easier method to get tracked or navigate the unknown location. GPS tracking has been proven to be an asset for the companies who maintain numerous company vehicle fleets, as these vehicles usually ferry company’s employees. Often, there are possibilities that the drivers try to inflate the actual distance covered and make an attempt to claim for the mileage. So, with the advent of the GPS tracking device the company which maintains the vehicle fleet are always able to track the movement of the vehicles thereby they are able to assess the kilometers driven. In the present context, the school bus routing has been considered as the complicated process as it maneuvers each and every street and roads to accommodate the students who use the bus to ferry to the school and back. The GPS tracking system turns out to be a robust emergence in tracking the movements of the school bus thereby getting hold of the real time information; the GPS tracking systems have become the most ideal asset to monitor the school bus according to their varied routes. VRS Tech have been constantly innovate the varied applications of gps vehicle tracking system dubai for corporates who handle the fleet services to ferry their employees from the home to the office and back. We have been able to even deploy the GPS tracking systems for individuals who want to venture out to an unknown location and in this context; GPS tracking systems tremendously help the users to find the real time information about his chosen destination. In the event that you are keen in having the GPS tracking device for your explorations, please approach us at VRS Tech and call us at +971567029840 so that our team could probably understand your specific requirements from GPS tracking. Please visit our official site at www.vrstech.com for more information.